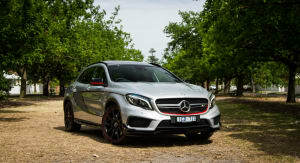 We had booked the Mercedes-Benz GLA45 AMG in to shoot the attached video that was intended to link to Mike’s recent launch piece. I was going to add a quick ‘Speed Date’ to round out the content trifecta, but that was it. Why? Well, to be honest, I wasn’t that excited about the car. 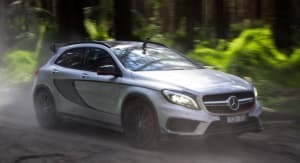 Sure anything AMG is going to be pretty cool, but to me the GLA45 seemed like another formulaic hot-hatch crossover that would have zero relevance to me as a buyer. 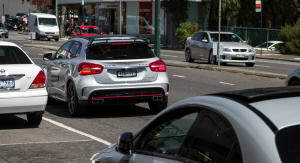 But as I sit here writing this, waiting for CA Melbourne photographer Tom to come and pick it up to take it back to Merecedes HQ, I feel compelled to say I was wrong and I don’t want the GLA to go. I’ve liked many of the cars we have had through the garage, but the GLA has achieved more than most. 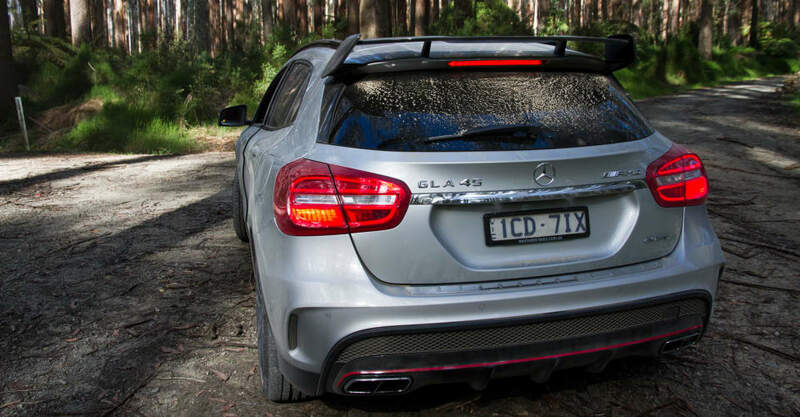 Beyond impressing me with its technical prowess, the GLA45 has well and truly surprised me. It has restored my faith that new cars can be adept at many things: both livable and practical, but more importantly, fun. 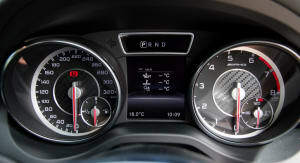 I briefly drove the Mercedes-Benz GLA200 CDI we had on comparison with the Range Rover Evoque earlier this year. I initially found it too small inside (my hair would brush on the roof which was a bit annoying) and I preferred the Rangie, mainly as it was just ‘easier’ to live with. I’ll admit it, I didn’t really ‘get’ the GLA. It was too small to be the family car, too ‘soft’ to be taken very far off the blacktop and a bit too economical to be really exciting. In my mind it was particularly niche and ticked the ‘fashion accessory’ box first, with everything else being an afterthought. 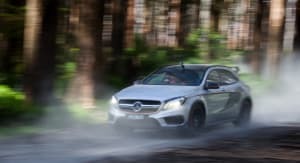 I had driven the Mercedes-Benz A45 AMG – the GLA45’s more ‘urban’ sibling – and found it fast and fun, but a bit of a one-trick pony. 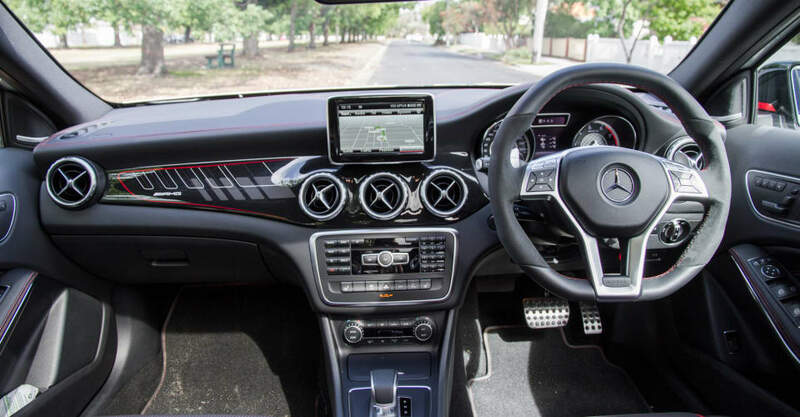 It’s great on a race track or back road blast, but the AMG A-Class’ ride is a bit too firm to comfortably handle Melbourne’s usual speed humps and cobbled cross streets. I like firm suspension, don’t get me wrong, but to live with every day, the A45 can be a bit much. Plus it is strictly a tarmac car and is quite ‘cozy’ in the back. So the idea of mashing up the A45 AMG’s hot-hatch drivetrain with the GLA’s compact SUV crossover body seemed, at least to me, a further compromise. 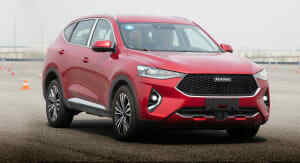 Less ‘hot’ than the hatch and less ‘utility’ than the SUV – a niche model of a niche model if you will. 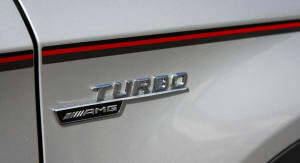 It was with this attitude that I approached the GLA45 AMG, a ‘jack of all trades, master of none’ if ever there was one. Don’t mistake this lack of excitement for apathy though. 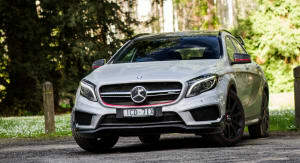 I always knew the GLA45 AMG would be a hoot to drive – a turbocharged all-wheel-drive hatchback with a 265kW/450Nm 2.0-litre four-cylinder is always going to be enjoyable even before you turn the key. My first taste of the car involved a few hot laps of Sandown Raceway (purely to get some footage for the video of course), and it certainly stayed true to its AMG lineage. Fast, direct and fun – the latter aided by glorious gear change pops and crackles – the little ‘45 did indeed impress… but that’s what it’s supposed to do. 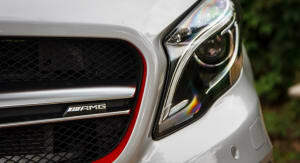 Off the circuit the flagship GLA was responsive and firm, but notably more compliant than the A45. The GLA’s exhaust burble does without the A’s sharp cracks at commuting speeds, but it still sounds good. 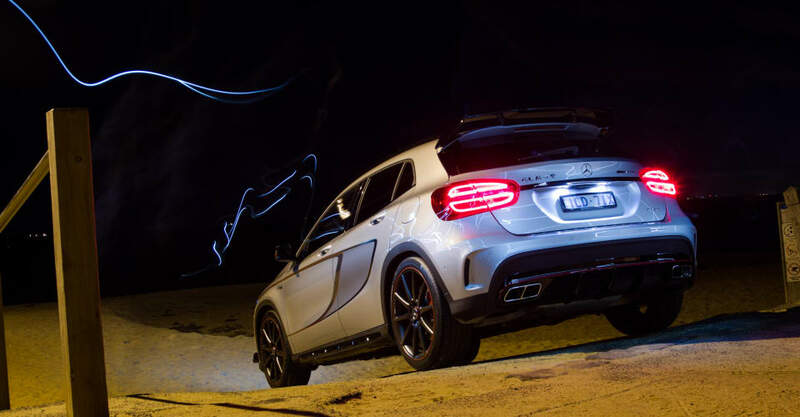 Sitting tall with its higher ground clearance, the GLA45, fitted with 20-inch wheels and additional aero paraphernalia, does look a bit goofy. But it isn’t ugly. 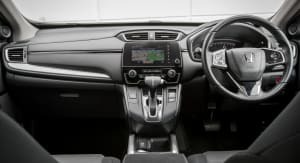 We shot the video with a number of tests designed to see if the GLA was, in our words, a legitimate triple threat – Hollywood parlance for a talent who can sing, dance and act. It turned out to be that and more. It’s as if Mercedes threw all the current automotive trends together in a Thermomix and hit go – like a Hollywood ensemble cast feature, but instead of the largely forgettable ‘Expendables 2’ I was expecting, what I got was an entertaining and easily rewatchable ‘Expendables’. I was pleasantly surprised. 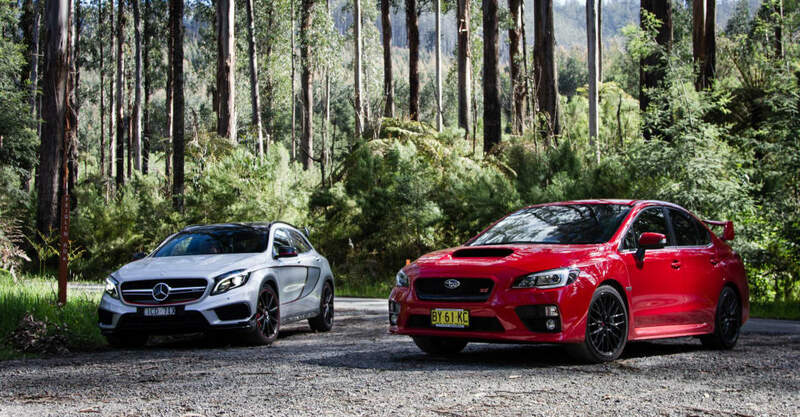 The defining moment for me came while chasing Dave down in the Subaru WRX STI along a gravel road in the forest near Marysville. Here I was, for all intents and purposes on a rally stage (with ‘Tunnel Mode’ activated to keep the dust out), in a little Mercedes-Benz that had, earlier in the day, dropped my daughter at school, parked itself, automatically maintained distance from the car in front on the freeway and been home to a number of phone meetings via the crystal clear Bluetooth. The 421-litre boot was also full of camera gear and Tom was in the back snapping away ‘action’ photos should we have needed them, all while I rocketed along behind the STI’s dust plume – the little turbo engine crackling away and the AWD system working hard to keep us not only pointing the right way, but at good pace after the Subaru. There have been other cars that can ‘do it all’. 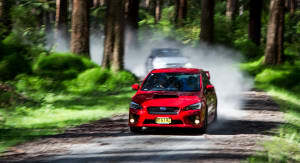 Take the original Subaru WRX hatch for example: a practical car with AWD turbo performance. But it was still the same as a base model Impreza inside, and this is where the GLA45 stands out. 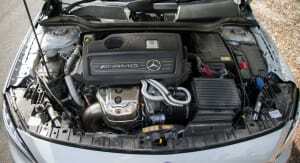 It’s a Mercedes. 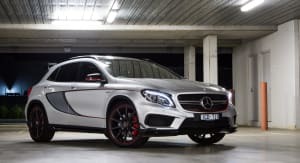 I know that this may sound like brand snobbery, but even with its own base model sitting near the entry-point for the three-pointed-star marque, the GLA45 does everything with the quality and surety that you’d expect from Stuttgart. It is a compromise that isn’t compromised. As the week wore on, I found the GLA to be more and more enjoyable and more and more livable. The firm ride is never uncomfortable, even over speed humps. The space is adequate for my daily shopping and the all-important school run. It’s easy to get in and out of, easy to park and easy to maneuver through traffic. Hell, it’s just easy to like. Even the ridiculous stickers that adorned our Edition 1 test car started to grow on me (well, not so much that I wouldn’t miss them if they went…). 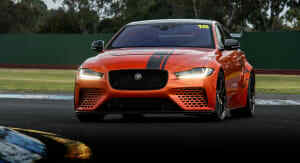 This was no longer a car that I liked, it was a car that I wanted. And for a lifelong car-guy tragic like me, that’s saying a lot. Like many of you, my own car purchases are about compromise. Mine is basically a one-car family, so the car I own (currently a BMW X5) has to tick many boxes, and sadly, being fun is further down the list that I would like. When I have extended the fleet to include a second car, fun (or foolishness as my wife would say) is first priority. 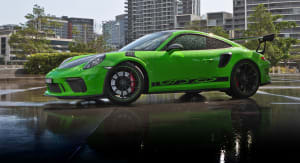 This has resulted in some eclectic garage pairings – an Audi A3 Sportback and a Mitsubishi Lancer Evo VIII MR, a Volvo XC90 and a Martini Racing-liveried Lada Niva rally car, and most recently, the X5 shared a stable with a 30-year-old BMW 528i Alpina. 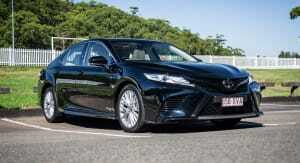 To have just the one car and a highly prioritised ‘fun’ quotient, within a budget, can be difficult. 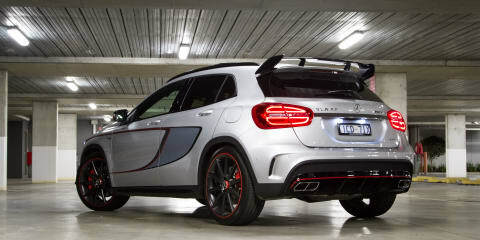 But starting at $79,900 (before on-road costs), the GLA45 AMG changes all that. So for those of you who may have discounted the little AMG as being a bit too niche – like I very well did – give it a shot, you may be surprised.